UNDER TAX VALUE! Own a piece of the Appalachian Mountains-- Come Create your homestead or private retreat and get away from everything! 18.459 acres located in beautiful Spring Creek area of Madison County. 30 Minutes South of historic Hot Springs, Less than an hour to Asheville. 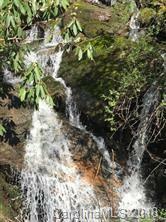 Bold Streams, Waterfall, Abundant Wildlife, Long Range Mountain Views, And Priced under Tax Value..! Don't miss an awesome Deal..! No Restrictions. Great hunting land. Offered by Real Mountain Properties, Llc. Copyright 2019 Carolina Multiple Listing Services. All rights reserved.